Here at D-Tek Live Bee Removal, not only do we remove live bees, but we make certain that the damage is repaired to your home and the bees stay gone! Most clients do not realize that leaving bits of a hive or honey comb can actually attract more bees, so we are sure to remove every last piece of the hive. We virtually “bee proof” your property, ensuring that no stone is left unturned in our removal process. 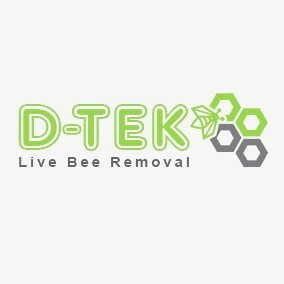 D-Tek Live Bee Removal also knows that bees are not the only problem faced when buzzing fills the air. If you have wasps, hornets, or yellow jackets, we remove them, as well, although they do put up more of a fight! Contact us today and let us start solving your problem, right away!